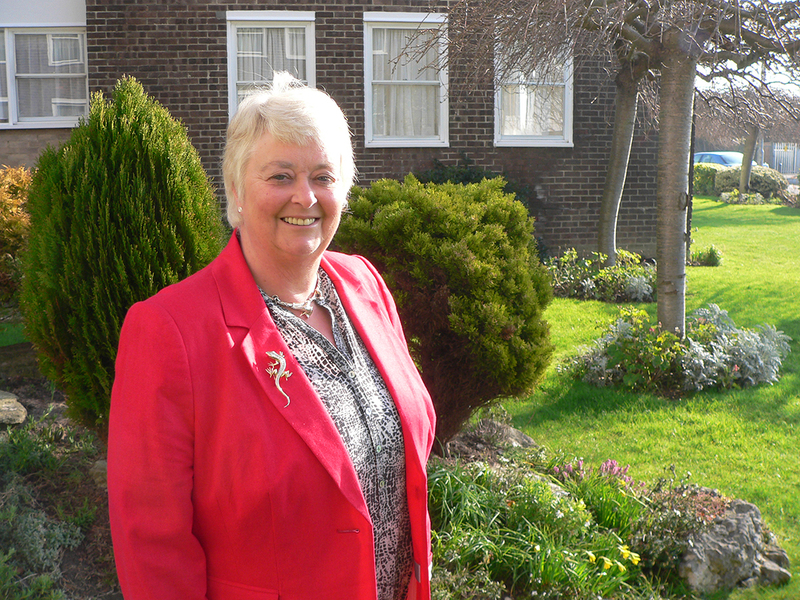 Sue Kanavan, 66, retired on Sunday 21st April 2013 after 24 years as churchwarden of Church of the Holy Spirit, in Fawcett Road, Southsea. She has overseen two interregnums - when the parish has been between vicars - and a huge £750,000 rebuilding project to bring the worship space and parish halls together under one roof. Her faith has been a big source of strength and comfort throughout her lengthy stint. But she has finally decided to hand over the baton to someone else. Sue grew up in a Christian household, and attended St Bartholomew’s Church, which used to stand at the junction of Outram Road and Campbell Road in Southsea. Her father was the churchwarden there and her mother was in charge of enrolling new members for the Mothers’ Union. When the Church of the Holy Spirit was built in the 1950s on the site of the former St Matthew’s Church, which had been destroyed in the Blitz, the family began worshipping there and Sue has been there ever since. Her faith became more real after a pilgrimage to Walsingham in Norfolk when she was 11 or 12. In her early 20s she became secretary of the deanery synod – the Anglican body covering the city of Portsmouth - and joined the Parochial Church Council of her own church. And then in 1989, the then vicar, the Rev Richard Evans, asked her to serve as churchwarden. When she agreed, she never imagined she would still be in the role more than 20 years later! “I do believe that one should change these roles regularly to bring fresh people in, but it just never seems to have happened,” Sue said. “Over the years we have had two interregnums and each time people said to me ‘you can’t go now’. We had the rebuilding work, which was a journey that lasted another five or six years, and I couldn’t leave in the middle of that. Anglican churches appoint two churchwardens at their annual meetings. They are volunteers who are accountable to the bishop and vicar, and their role is to take care of the church building and its property on behalf of the parish. When a parish is between vicars, the churchwardens are responsible for making sure services continue. Despite Sue’s change of role, she won’t be putting her feet up yet. She will continue to organise the church’s annual pilgrimage to Walsingham and head up the events planning committee. She will also continue to help design the Easter garden as well as preparing the church for major festivals and key events. Sue has been a member of the choir for more than 20 years and she plans to carry on singing. She’s even taken on a new role as training officer for the deanery Mothers’ Union group. But the former headteacher is looking forward to spending more time with her husband of 42 years, Phillip. Throughout her life, her faith has been a constant source of strength and hope, not least when her eldest son Sean, now 41, was born eight weeks prematurely. He wasn’t expected to live, but he pulled through against the odds and Sue truly believes that it was down to God’s intervention. “On the Sunday the vicar led mass and at the beginning of the service the whole church prayed for Sean and apparently there was this fabulous feeling in the church. People have told me that it was almost tenable. When her husband, Phillip, underwent major heart surgery six years ago, Sue again relied upon her faith to see her through.